If you enter the term "Importance Level" into the search box at the top of this blog, you'll get back a bunch of results. I've written about it many times because it is crucial to my recovery and success. Importance level isn't defined by words. It's defined by actions. Deliberate actions. And speaking from experience, it's something that can easily slip long before we're even aware of the slippage. That's why I'm being extra diligent, extra aware--you can even say the word "obsessed," that's cool with me, because if you're going to be obsessed about something, taking extraordinary care has the fewest drawbacks. Documenting my food intake through the MyFitnessPal diary and food pics with calorie counts on Twitter has been an added diligent practice I didn't do while initially losing weight. I didn't even write things down back then, opting instead to keep track of my calories in my head with a running total always front and center in my brain. It worked. I was wildly successful without these added accountability tools. I need them now. It's interesting, with most anything else, once you successfully do it, subsequent times are usually easier. Maintaining a balance with food and exercise, losing weight as a result and taking extraordinary care seem to be something of the opposite. These added tools are important for me. My Wednesday was a little more stressful because it was the last day of the month. I navigated the calorie budget well, stayed busy and still found time to take care of me. It was late by the time I hit the walking trail, and I almost took another pass--until I realized, wait a second--I took a pass yesterday, I can't take another. If the schedule is putting me on the trail at 9:30pm, when I need to be in bed--then I need to take more control of the schedule. I decided that even if I only made it around once (.83 miles), it would still be a victory. Once I got out there, I made it around twice and back to the car for 1.7 miles. Bonus! Backing up a little-- I had a quick grocery shopping trip in the middle of the day and I tried something a little different. I put in my ear buds and listened to music that motivates and inspires me, while I shopped. I turned it off when I got in line, of course--but the effect while shopping was fantastic. I zipped in, right past all the stuff I didn't need and straight to the things I was after. Nothing, no errant thoughts or compulsions--just feeling good and motivated, inspired while grabbing what I needed...and nothing I didn't. I think I may take more and more musical grocery shopping trips. Last night's dinner out was interesting and challenging. I had a planned dinner at an Italian restaurant--and it was complimentary, so how could I say no? Well, actually I could have said no. But I was confident I could navigate the selections well. The first thing that comes to mind is to be extra cautious and I was. I ordered a grilled chicken breast and grilled shrimp. I had a tomato based chicken and veggie soup as an appetizer. When the plate arrived it looked loaded. The chicken was buried under tomatoes, mozzarella and what appeared to be severely under-cooked bacon. The side of spaghetti with a simple tomato and spice sauce looked much worse than it was. I enjoyed the chicken breast minus all the stuff loaded on top, the shrimp and part of the spaghetti. I left feeling confident about my choices and my calorie budget was intact--barely, but intact none the less. There are some things I could have done differently to make it easier and I'll implement those things the next time I'm offered a complimentary meal in the middle of a calorie bank minefield. Another good day in the books. Thursday promises to be much less stressful and that's good! I have a special guest on my show Thursday morning from Serbia. He's in town to study our chamber of commerce and tourism department. Looking forward to the show! If you're inclined, you can follow me on Twitter: @SeanAAnderson Twitter is where I post the majority of my food pics along the way. MyFitnessPal username is SeanAAnderson --where I keep a food/menu and exercise diary. My importance level is very high! When I look back at the fundamentals that kept me going strong while losing weight, I must recognize the power of sitting down and writing things out. And when I look at where things started to get bumpy, it was when I stopped writing consistently. And even after this short time of daily blog postings, I can tell a major difference in how I feel. My focus has sharpened, my attitude and resolve is in an optimal place and I'm getting back my confidence. My challenge to me is to explore other ways in which I can add to this positive effect. Reaching out more to others, being supportive, increasing the time I spend in meditation and prayer---all of these can only strengthen my stride and they're once again assigned a very high priority. This feeling of renewal and strength doesn't mean it's easy. It's about being better prepared to handle the challenges as they come. Sometimes a giant ice cream shake seems like the perfect move. Putting some space, just a little, between the thought and the action--long enough to identify the what and why of the situation, is often all that's needed to correct the skid. If it doesn't quite work--reach out to someone and share the experience and feeling. It's very powerful. Expose it, shine a light--and discuss it with someone who gets it. As a food addict, I'll tell you this: I've had times where I've felt driven to the fat and sugar. Have you felt this too? When, despite the consequences--despite what you know is true, that a binge isn't going to fix anything and in fact make it all worse, you're driven like a moth to a flame? That's when it's really scary. The isolation that often accompanies such a leap is a dark, depressing place. And the only way out is to get connected, not only with your spiritual side, but also with people who understand what you're experiencing. And stay connected. Because you're not alone. We're never alone. If we isolate, then we're still not alone, but it sure feels that way. I'm staying connected. Today's schedule was a little challenging for me because I wasn't feeling rested, yet I had important appointments keeping me from a nap allowing split shift. Remember HALT? (Don't get too Hungry, Angry, Lonely or Tired) Yeah, I was getting too tired, too quickly and finally, a little after 2pm, I had to take a break for a refresher nap. I was back at 4pm as planned and finished what I needed to finish by 4:40pm. I prepared a wonderful dinner tonight (menu on MyFitnessPal and the picture is on my Twitter feed) and then I settled in for a good conference call with the weekly support group. It's 9:15 and I've decided to post today's blog and hit the pillow early. I've been battling exhaustion like crazy today, so I'll give myself a pass on the walk tonight. Tomorrow I'll get a look at the results of my sleep monitoring. It's the next step in figuring out an immediate solution to my sleep issues. The long term solution is on me--it's getting the extra weight off and getting truly fit, and even then it may not be 100%, but there's a great chance it will be if it's coupled with effective therapy. I'm a creature of habit. My breakfast menu usually has two options: Eggs and sometimes cheese, wrapped in a Joseph's 60 calorie pita, or placed on a 100 calorie sandwich thin if the pitas aren't available. Or steel cut oats and perhaps a few scrambled egg whites. Rarely, in a tight pinch—if I wake up too late to prepare, I've allowed a fruit and maple oatmeal and scrambled eggs or a fruit and yogurt parfait from McDonald's. I've pretty much concluded the McDonald's Oatmeal and the parfait options need to go simply because each contain a significant amount of sugar. And for me, sugar is like a drug. Is it possible for me to start my day with a double dose of sugar and still maintain my calorie budget throughout the day? Yes, I've done it. But, in making those choices I'm choosing to make things much harder. And just to be fair—I've started the day like that many times before and spiraled out of control in a feeding frenzy before sundown, check that—before noon. This cause and effect self-analysis isn't something I've always considered or realized about myself, it's a fairly new epiphany, as in the last couple of years. When someone is just getting started and they ask me for advice, I stand behind exactly what I did from the beginning. I tell them to maintain a calorie budget and exercise, period. I tell them, “eat what you like and nothing you don't. Don't complicate this process. Get accustomed to eating less, naturally. Focus on maintaining the integrity of your calorie budget and you'll naturally evolve into making better choices along the way.” And I go on: “You can get fancy later. If you're like I was, simply cutting down to an intake best suited for weight loss is a big enough victory in the beginning. Start with this and allow your natural evolution of good choices to unfold.” Of course the conversation also turns to the emotional and psychological side of this very big battle most of us have in common. We all know this is about much more than food and exercise. I find myself in an awkward position lately. I have traveled over five years along this road and I've learned a great deal about myself and now I tend to be more critical of my own food choices. And some of those, like the sugar, for good reason. But what happens is, if I choose something that I've mentally noted isn't good for me, I immediately bring about negative feelings about what I'm doing. Does this make sense? I can make myself feel like a failure even when the choice fit nicely within my Calorie Bank and Trust. Even if it's something I enjoyed and even celebrated along the way of my initial success. I didn't eat fruit and maple oatmeal from McDonald's this morning or a parfait. I did prepare my usual eggs and cheese wrapped in a Joseph's pita—and it was delicious. I had some fresh fruit for snacks and I enjoyed a fabulous lunch and dinner too. So where does this line of thought come from? I stopped at the grocery store on the way home. It takes me so much longer to shop now because I'm judging everything I put into my basket. Why am I doing this to myself? I believe it's because I've raised the bar of expectation very high. And while it's good to raise the bar as you go and ascend to new confident levels—I must recognize when retreating to the basics is imperative for my stability. If I continue to struggle living up to the highest expectations I've set for myself, then I'll continue to be disappointed in myself when I fall a little short. And the negative consequences of those emotions are not acceptable any longer. I am retreating to the basics with a few exceptions. Anything high sugar or high fat is a minefield for me, so I'll tread lightly or not at all with those. I'm more specifically proclaiming: I will be less self-critical and self-judgmental. Because here's the bare truth: The barriers I've created within myself via shame and guilt—the avoiding pictures, the dreading public appearances and doing my best to avoid seeing people I haven't in a long while for fear they'll judge me or be disappointed in me---these barriers have been built with my own self-judgment and disappointment in me...and I've been amplifying and projecting it upon others. No more of that insanity. My fear of receiving this from others is actually a reflection of my own judgment! In order to return to my healthiest weight and be more fit than ever, I have to embrace where I am, who I am and what I'm doing. And feel good about it 100%. And be kind to myself. Is it hard sometimes? Yes it is, very. And I don't necessarily understand all of the psychological dynamics of why I treat myself the way I do sometimes. But I know for certain that breaking this habit of self-sabotage is key to the healthiest visions of my future. I'm headed to the trail for a good walk. It'll compliment all the stair climbing I did today. I don't even count the stair climbing normally—but today I noticed because it was unusually high between work and home, maybe 20 flights of stairs? That's fairly accurate. I can't even begin to express how much consistently writing is helping me. It makes all the difference in the world. I look forward to so many incredible things ahead. This time of year is wild for my professional schedule. With warmer weather comes more remote broadcasts on the weekends and of course we're diving into severe weather season, when our broadcast schedule is affected by the natural whims of Mother Nature. Both of these elements factored into my Saturday ride. It's now late on Sunday evening and I'm ready to hit the pillow knowing that I did well today. And considering the craziness of my schedule this weekend, that's a pretty good victory. As some good friends have reminded me lately, it's one day at a time and sometimes, one hour at a time. Sometimes it's very important to HALT and assess what you're feeling and how it's affecting your resolve. H.A.L.T. is an acronym used in recovery circles. It stands for don't get too HUNGRY, ANGRY, LONELY or TIRED. The challenge, whatever it might be, is amplified whenever any of those things are present. I applied this acronym minutes ago as I drove home after an unusually long day. I'm hungry and tired. I'm not too hungry, really, but I am fairly exhausted. I had an errant thought of maybe I could get something small to eat on the way home. I mean, I am a little hungry but mostly tired. My calorie budget was depleted by 7pm today. Grabbing something, anything--no matter how small, would be sacrificing the integrity of my calorie budget. What I'm doing is too important to flippantly violate my calorie budget. Because I'm a tiny bit hungry? Really?? Or is it being slightly hungry coupled with being tired enough to be considered physically and mentally impaired? Yeah, it's that. I had to HALT and assess the situation...and after taking a minute I decided I needed to get home, write a quick blog post documenting my Friday and fall in bed. The lean sirloin steak I prepared yesterday has now officially made it through three meals. I prepared a very nice steak and cheese omelet wrap in a Joseph's Pita this morning. It was delicious! I had a Fiber One bar mid-morning. Lunch was chicken and cheese crunchy tacos. I enjoyed an apple and a 50 calorie iced coffee for a snack. For dinner I grabbed a bean burrito with salsa instead of cheese and a crunchy beef taco with salsa instead of cheese. One thing this menu screams is: I need to do some grocery shopping! And that's certainly on my agenda for Saturday. I had a remote broadcast this evening and I'll have five more hours of remote broadcasts tomorrow. Doing these public appearances requires some mental preparation on my part and I'm not referring to advertising content or anything to do with broadcasting. I'm talking about seeing so many people. The first thing I will do in the morning is remind myself that my worth isn't determined by the number on the scale or the size of my clothes. I was a wonderful human at 505 and at 230 and I'm just as lovely where I am today. It's important for me to remind myself that this isn't a quest in gaining any kind of acceptance or favor from anyone. This is a quest to be healthier, to feel better about me, to take extraordinary care---simply because I'm worth it...I deserve to feel great. When I'm out in public, I'm often plagued with an overwhelming panic over what others are thinking about the weight I've regained. And it's a mental place that isn't good for me to dwell. My broadcast day starts tomorrow morning at the YMCA and I know there's a better than average chance I'll see people whom I haven't since weighing in around 230. I talk and write about letting these self-inflicted poisonous thoughts go and how vitally important it is---and it is, yet I still struggle with guilt and shame. My profession doesn't allow me to stay hidden in the studio for too long. Doing what I'll be doing tomorrow has been a part of my job for 26 years and you know what's interesting? Never before have I felt this way about public appearances, not even at my heaviest. I was always just me and being me was just fine. And it still is fine. The ONLY thing making it difficult is me and the products of my imagination affected by experience, expectation and an image I've created and enjoyed. You know what helps alleviate this mental/emotional stuff? Doing the right things. Making the good choices. And knowing I'm headed in a wonderful direction once again. The visit with the sleep specialist was powerful to me, like a wake up call of sorts. "How fit were you at 230?" Wow, great question Doc! Not too much, really. Sure, it was all cardio that got me there, never really kick starting the weight training I often fantasized about accomplishing. I was satisfied with being much smaller and discovering the body underneath the thickness that was me for so long. It wasn't the fittest body for sure, but miles from the five hundred pound body I maintained for so long. The fact that body composition plays a role in getting good sleep makes perfect sense. Time for a new goal? Time to strive for not just weight loss, but overall fitness? Time to hit the weights? Sure! But I shouldn't get ahead of myself. First thing is getting regulated on a consistent schedule of maintaining the calorie budget, exercising and writing in this blog. Those are the elements that worked before. Now here's the deal: For various reasons, namely the automatic compulsion to compare my performance today to what I did back then, I've found it isn't as simple as doing what I did from the beginning. There's a whole new awakening, volumes of study about myself that I was blissfully unaware of in the Fall of 2008. I may have referred to myself as a food addict back then, but I wasn't educated to know what all that meant and how it played a significant role in my life. So now, maintaining a calorie budget, exercising and writing consistently, requires an additional commitment to fundamentals all recovering addicts must embrace. Getting to a healthy weight and being more physically fit and living a life of good practice conducive to proper maintenance, is the goal. It's about so much more than simply losing the weight. A big part of this journey is being okay with me. Before I go into a thousand word explanation, I'll just leave it at that. You know what I mean--self compassion, turning off (or at the least-turning down) the critical voice inside that keeps insisting I'm not good enough or not deserving enough or whatever. I'm not a therapist, but I talk with one regularly. What I've learned has been invaluable to my understanding of the human science, the petri dish of experience that has grown into me today. The common misconception is that knowing and possessing a better understanding of these connections automatically makes breaking away from their hold easier. It does not. I've gained significant weight throughout my therapy process but I've also gained an invaluable education about me. So what good is it? The important thing, in my opinion, is to realize it's only a piece of our puzzle. And putting our puzzle together requires more than just having the knowledge of what we do and why we do it, it requires deliberate actions. Simply having a good idea of where the pieces fit doesn't solve the puzzle, you gotta get hands on those pieces--you gotta be willing to physically work the puzzle. Is it always easy? NO. Will we get stuck occasionally? YES. Do we give up and wipe the puzzle into the floor? NEVER. And from this day forward, this blog will be about deliberate actions. If you've read from the beginning of this blog or at least part of the first couple of years, you'll recognize exactly what it is. A daily diary. Now...I can't guarantee I won't go off on a philosophical tangent every now and again, because it comes very easy for me to do---and I'll occasionally get creative--but for the most part, it could get a little boring along the way...at least until you see what's happening and how it's unfolding. I hit the snooze bar twice this morning for an additional 18 minutes of sleep. By the time I hit the floor there wasn't much time for anything but the routine of getting out the door on time. Abbreviating my time for prayer and meditation isn't the best thing to do, but it's often what happens after a night of restlessness. I make coffee and start breakfast (three whole eggs wrapped in a 60 calorie Joseph's Pita) cooking on low while I get showered and dressed. Multitasking all the way to the door with exactly enough time to drive to the studio, sit down, key the mic and sound as if I'm the most refreshed person in the world. "Good morning, it's 68 degrees--warm start for us as we go to New York for the latest from ABC..." I made it. And I'll be okay until the 10am split. My employer has allowed me to adopt a split shift schedule throughout this sleep crisis and it's worked relatively well. I'm toast without the midday nap, so for the most productive version of me in the afternoon, it's become fairly important. This split schedule isn't ideal really and I look forward to getting my sleep puzzle sorted out and put together so I can function in a more normal way. I cooked a large and lean sirloin steak during my midday split and it served me for lunch and dinner. I prepared steak and cheese crunchy tacos for lunch with mozzarella and salsa and for dinner I made a big steak and cheese omelet. I also snacked on apple slices today. I brought a bag of apples to work this afternoon to keep in the studio kitchen. I arrived home shortly after 5pm and although I didn't plan on taking another nap, I quickly realized my body was insisting, so I complied to a regulated hour (alarm set) nap. Prepared dinner, listened to a small portion of one of my favorite podcasts (Marc Maron's WTF), made a trip to the store and then to the trail for some exercise. I had a good walk. My right leg seems to be improving and that's good. Because when it's swollen, it's very hard to justify any kind of exercise that might stress the leg and cause painful sores. It's a catch 22--because the exercise helps me lose weight and the weight loss dramatically improves the leg swelling. In order to continue exercising consistently, I'll likely need to start wrapping with compression bandages designed specifically for lymphatic issues. And that's okay. Whatever it takes. As I write this, I'm under my calorie budget for the day, I've exercised and I've written a blog post. I'll be hitting the pillow shortly with the confidence in knowing that I did well today. And this feeling, when duplicated consistently, has the power to create some seriously positive momentum! There's an interesting psychological dynamic that unfolds when you lose a dramatic amount of weight and then gain some of it back, or a lot of it back. I'm convinced this dynamic is exactly what makes successfully losing again seem more difficult. Suddenly, it becomes much more than controlling our calorie budgets, exercising and paying attention to our emotional state and the accompanying triggers. Now, we must do a little more "mental work" as we do our best to get past the guilt, shame and embarrassment associated with weight gain and put our focus squarely where it's most benefiting. This dynamic is powerful no matter if you blogged about your weight loss and wrote a book or not. 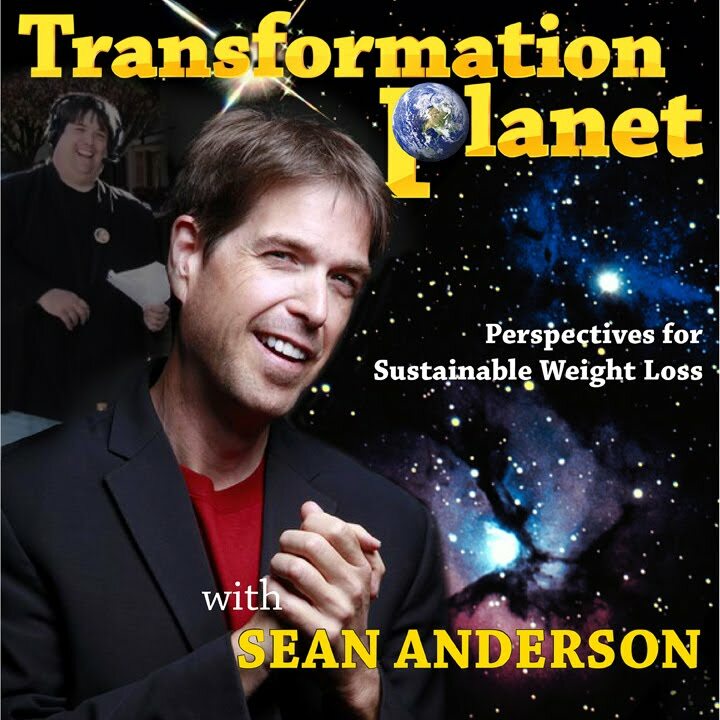 I was in line at the grocery store the other day, fighting the urge to grab a dose of sugar, when a man came up behind me in line and said, "Sean Anderson, I read your book. You've gained some back." Two things happened in that moment: 1. I immediately lost any desire to grab a Snickers bar and 2. I felt a rush of guilt, shame and embarrassment. Now, most people operate with a better set of filters. This scenario has played out more than a few times, but usually the other person doesn't vocalize the obvious. Even when the obvious isn't stated, I'm real good at deciding exactly what they're thinking. The silent-mental conclusion is always much more harsh and unforgiving and likely inaccurate. How will I ultimately overcome this added obstacle? Perspective. Shifting my perspective is paramount to my success today. Inventory time! This is where I make a list of good and not as good, qualities...and you know what? I'll spare you the self-indulgent list and cut to the chase: Turns out I'm a pretty decent guy. Yay for that! I'm human. I'm real. I don't know everything. I'm always open to learning. And the things I'm learning now are things crucial to my long term success. I'm not saying weight gain after a dramatic loss was a good thing, but if I shift my perspective around I can clearly see where I can learn from and benefit from this experience. As this blog moves forward, I'm going to get into more of a "diary" type mode, much like in the beginning. Less "here's what I think" and more "Here's what I did and am doing." I'm excited at the idea of getting back to the roots of this blog. Back to a diary in the purest sense. You see, I tend to suffer from paralysis by analysis. I try to understand things from every angle, take it apart, dissect the elements, reach conclusions, maybe write about my personal philosophical conclusions and then when I struggle, it's back to the drawing board. We can study ourselves and learn, learn, learn--the applying part is the critical step that's often times hindered by the exhaustive analysis. Much like advice I've given a hundred times to others: It's time to stop trying to figuring everything out and just do. Just be. And be okay. And move forward. 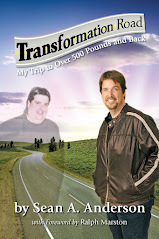 After all, much of what I learned while losing 275 pounds, I learned along the way. Had I stopped back then to "study" it all, I would have never experienced the initial success. Taking better care of me is critical. The sleep issue is my main focus and concern. My appointment Thursday with the sleep specialist resulted in a prescription for Nuvigil (thank you for the suggestion, Joe!) And some suggested "positional therapy." The bottom line was: Get fit and this will dramatically improve or become a non-issue. I told him how even at 230 I was having serious sleep issues. He then asked, "How fit were you at 230?" Mmmmm... And I asked, "Are you suggesting I need muscle, work out with weights?" And he told me it could make a major difference. Body composition is important to this issue. It certainly makes sense. And once again I'm reminded of the awesome responsibility I have in taking better care. It's all up to me. I've understood this for awhile, cementing in my mind during the initial weight loss. It's interesting how another issue comes along and it becomes convenient to overlook this part. It is up to me. I can dramatically improve my life. Basically, I can choose change before change chooses me. Yes, it all comes back to this very real truth. Several friends have expressed concern for me lately and I sincerely appreciate their inquires. I thought it best to update anyone else who might be concerned: After two sleep labs and a new cpap machine, my body is still rejecting the therapy. This constant state of exhaustion has taken its toll on me in several ways. It's affected my job, my weight loss, my attitude and emotional well being—basically, it's wreaked havoc. It's now affecting my voice, and for someone like me who makes a living by speaking—that's pretty scary. I've done okay with food because I know eating more isn't the solution to the issue, even when you're too tired to care most of the time. As far as exercise goes, I haven't lately. Why? Aside from the obvious exhaustion, the lack of rest has had an effect, as if I were staying on my feet constantly, causing extreme swelling to my right leg with lymphatic issues (something that, thanks to weight loss, hasn't been an issue in over 4 years). This effect has left me very cautious about putting too much pressure on it for fear of skin breakage. That hasn't happened and I'm doing whatever I need to do to keep it from happening. I received a facebook message from a reader who asked, “You're obviously struggling because you're not posting regularly, so how can you “coach” others in your group with Gerri?” Great question, a fair question indeed. First of all, Gerri is the certified life coach in our group. I am a “coach” too, based exclusively on my personal experiences along this road and my ability to communicate and effectively encourage and offer support, as I've done with hundreds of people over the last five years. My struggles with this medical issue hasn't affected my ability to relate to group members, offer suggestions, inspire and motivate in my unique way. The group helps me too, especially with the support and guidance of group members—and of course Gerri Helms, one of the best life coaches in the business. My goals and plans are wonderful and they're still valid, waiting, if you will, while I attend to my immediate health concerns. I'm taking care of me and doing it the best I can with self- compassion and a realistic approach. I'm scheduled to see a specialist tomorrow afternoon and I'm looking forward to finding solutions to my health concerns.